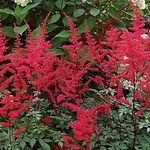 Astilbe arendsii 'Spartan'. 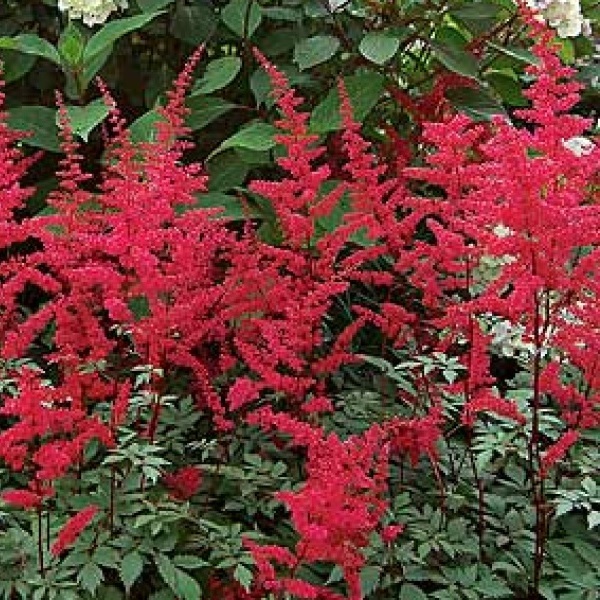 Velvety red blooms form upright, airy plumes. They float over mounds of dark green, divided foliage in summer.